Welcome to the last week of Ellie guest comics. 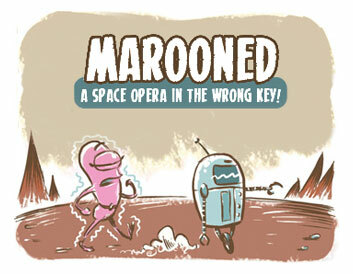 Today’s comes to us from Tom Dell’Aringa, the brains and talent behind the brilliant operatic sci-fi comic Marooned! I’ve gushed about Tom’s comic here several times before. It’s a great story that’s going to be wrapping up within the coming months. Plus, I owe it to Tom for pushing me along to get Ellie’s story to all of you. 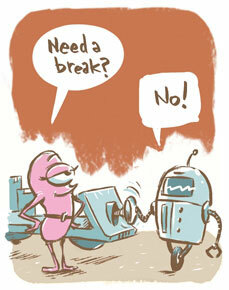 So please, if you haven’t, go read Marooned. 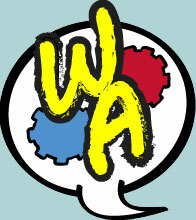 And if you like it, Tom’s putting the finishing touches on a complete compendium of his comic. Keep checking back on his site for updates. 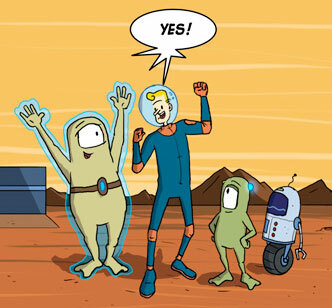 Recently I contributed to this piece that a bunch of us cartoonists made as a sendoff to Tom Dell’Aringa’s fantastic comic Marooned, which will be winding up in the next few months. 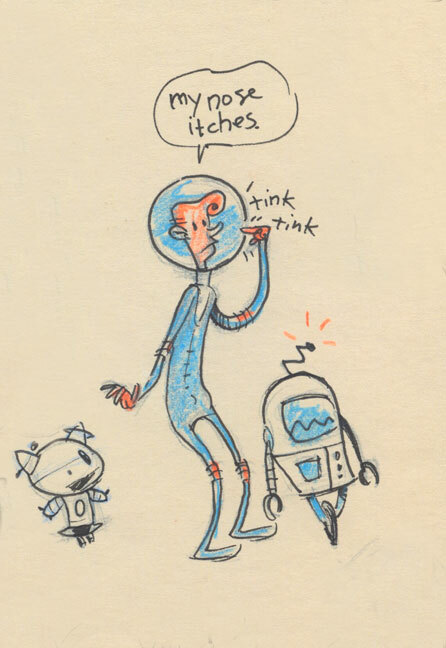 My contribution was the little pink Martian girl, Ril. 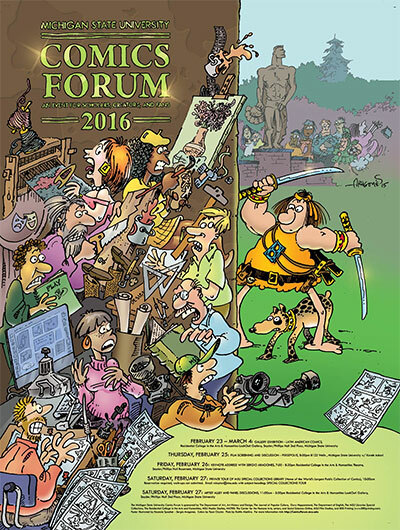 Click on the pic above to go to Tom’s site and see a great big version in all it’s glory, featuring Denver Brubaker, Eddie Pittman, Eric Orchard, Jeff Couturier, Wouter F. Goedkoop, Steve Ogden, and Vince Dorse! 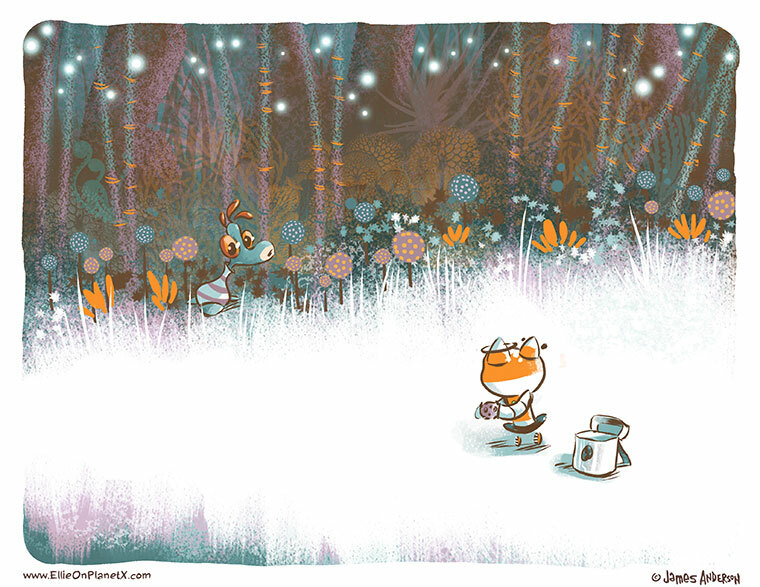 I was going through some artwork for a presentation I’ll be giving in a few weeks (more on that later) and I ran across a guest strip I did for Tom Dell’Aringa’s fantastic comic Marooned. 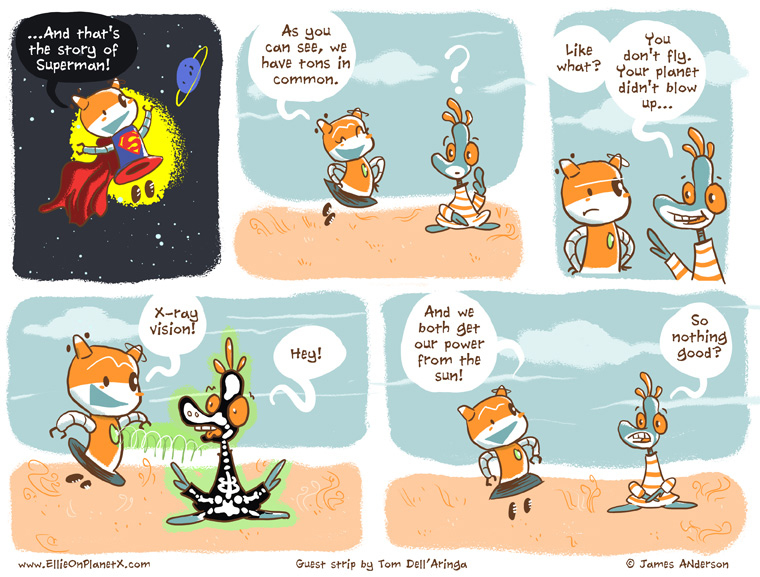 Tom was pretty instrumental in getting Ellie On Planet X into the public eye, so go check out the strip I did for him a few years back and stick around and read the rest of his comics! 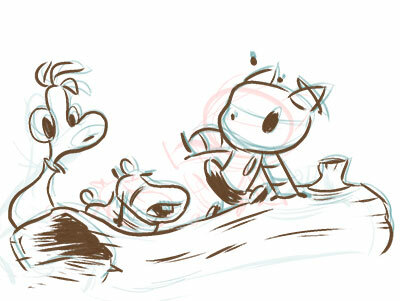 I’m here in Chicago for a day, so when visiting Tom Dell’Aringa’s backyard it seems like the right thing to do is post a little sketch of his Marooned characters. And here you go! 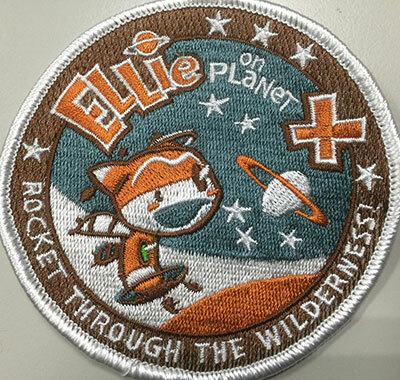 Here’s a few Ellie related items from around about the internet. First, although we’ve been posting Ellie’s transmissions since June of 2010, it’s really only been about a year since we made what might be called a press release. And only then due to the insistence of Tom Dell’Aringa that I do a guest comic for his wonderful sci-fi adventure Marooned. After threatening to send his fans our way it was decided that it might be best for us to clean the place up a bit. Tom has also been beyond kind with his promoting of Ellie’s adventures. He recently donated some unused advertising space on his site for Ellie and some other comics, and even went so far as to list Ellie on Planet X among some other great comics that he can’t do without. So, thanks Tom! Ellie salutes you! And B) The folks at Webcomic Alliance, a resource for makers of comics on the web, were kind enough to choose Ellie on Planet X as their webcomic pick of the week!